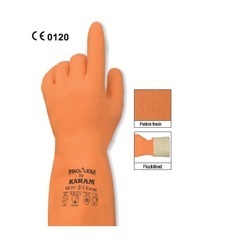 Due to rich industry skill and experience, we have been accomplished to provide our valued customers the best quality range ofKaram Safety Hand Gloves. 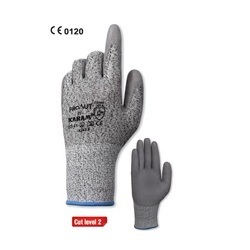 KARAM gloves are tested and certified to the latest norms for mechanical resistance, EN 388:2016, and chemical resistance EN 374:2016.EN 420: This standard defines the general requirements for protective gloves in terms of construction, fitness of purpose, safety, etc.EN 388: This standard specifies the capability of the gloves to protect the user against mechanical hazards, like abrasion, cut, tear, puncture, etc.The latest norm for Mechanical Resistance, EN 388:2016, has been introduced incorporating the latest technological advances in glove manufacturing,including those by KARAM. Under this new standard, relevant KARAM gloves are tested for cut resistance through a more stringent TDM method, making thembetter in performance. 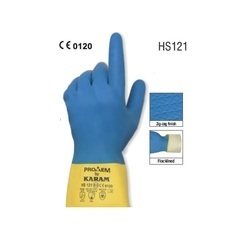 We are manufacturer and supplyer of Karam Nitrile Safety Gloves HS101. 100% nitrile compound gloves for protection against a vast range of oil based chemicals and solvents. 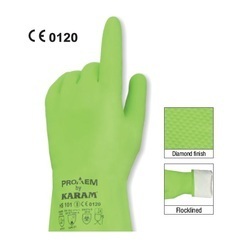 We are supplier of high quality Karam latex safety gloves. 100% natural latex compound gloves for protection against a vast range of ketones, alcohols epoxies, alkalis, caustics, detergents and other water based chemicals. Flocklined from inside for reduced perspiration, hence offering greater comfort and performance, and better dexterity. We are manufacturer and supplier of safety natural gloves. 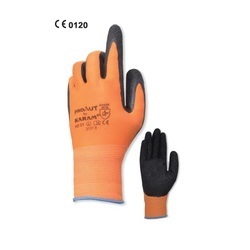 We are manufacturer and suppliers of Karam Supported Safety Gloves. Made of unique orange and black combination for better aesthetics. Created for a broad range of general working applications such as handling and carrying in dry and wet conditions. The crinkle latex coating provides an excellent grip and good mechanical performance for protection and durability. 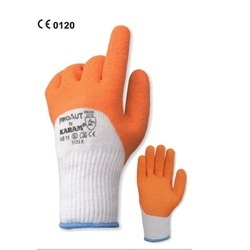 We are manufacture and suppliers Karam Orange Crinkle Latex gloves. 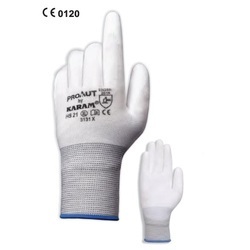 We are manufacturer and suppliers of karam White Liner with White PU Coating safety gloves. The polyurethane coating offers good tear and abrasion resistance. We are manufacture and suppliers of Karam Black PU Coating Gloves. We are manufacturer and suppliers of Grey Nitrile Coating Gloves. 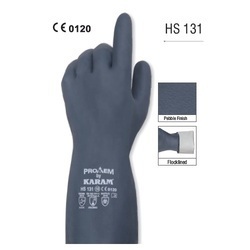 We are manufacturer and suppliers of HPPE Grey PU Coating Gloves. We are manufacturer and suppliers of HPPE with Black PU Coated Gloves. 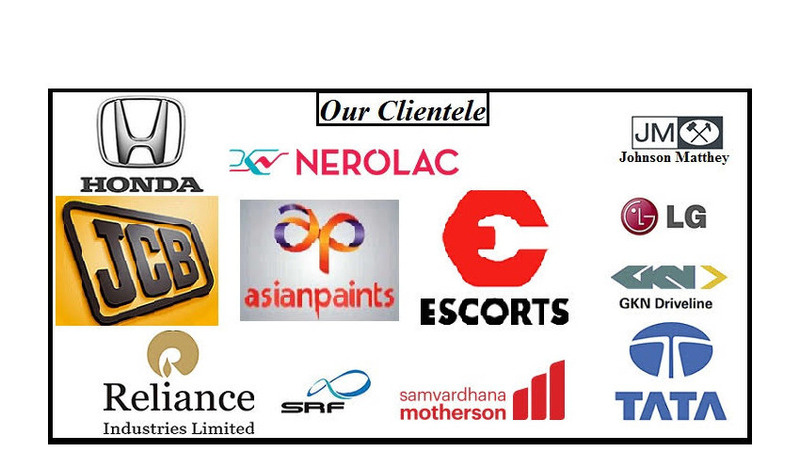 We are manufacturer and suppliers of Karam Neoprene Gloves. offering greater comfort and performance, and better dexterityf Karam Neoprene Gloves.